In 1918, the year Bella Casey died at the beginning of the Spanish ‘flu epidemic, the poet Louis McNeice (above) was just 11 years old. Bella was living in the tenements of Dublin; McNeice was growing up as a son of the rectory in Carrickfergus, Co Antrim. So what’s the connection between them? The Rising of Bella Casey is. 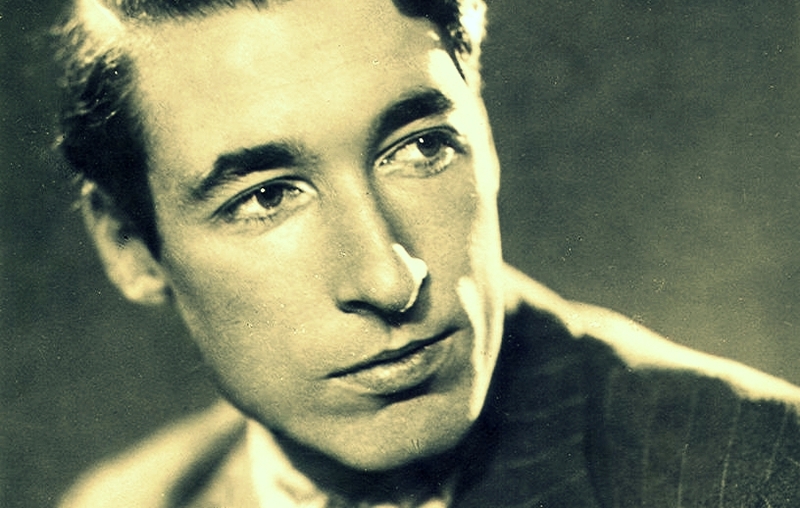 McNeice happens to be on of my favourite poets but that;s not the reason he has an underground connection to the novel. He’s there because sometimes when you’re writing historical fiction, people and dates happily collide. McNeice’s mother, Elizabeth (Lily) Clesham trained as a teacher with the Irish Church Mission in Clonsilla, Dublin, in the 1880s. At the same time Isabella Casey was studying at the Church of Ireland Model School on Marlborough Street (now site of the Department of Education). There’s absolutely no evidence that these two young women – devout Anglicans both, trainee teachers and exact contemporaries – met, let alone knew each other, even though they shared the same historical space (much like James Connolly and Nicholas Beaver – see my post October 22). However, I like to think that Dublin was a small city then and if there’s no proof that Bella and Lily were acquainted, there’s equally nothing to say they weren’t. So I played God; I got them together at a teachers’ social in October 1889 and, hey presto, they became fast friends on the page. Elizabeth Clesham was born on October 18, 1866 (a year-and-a-half after Bella Casey) and was brought up outside Clifden. Her father, Martin Clesham, had been born a Catholic but had converted to the Church of Ireland. Here was another point of similarity between Bella and Lily. Michael Casey, Bella’s father, was also a convert having been proselytized by the Protestant evangelist Rev Alexander Dallas, founder of the Irish Church Mission, which ran mission or “ragged” schools in Ireland from the 1850s onwards. Michael Casey worked as a clerk in the Irish Church Mission (ICM) headquarters on Townsend Street and Lily Clesham taught in ICM ragged schools in Dublin and Galway so that was another ready-made link between the two women. I began to feel they should have met. Lily met clergyman John McNeice, the father of the poet, around this time. (He also makes a cameo appearance in The Rising of Bella Casey.) They married in 1902. Rev John McNeice served in the North of Ireland from 1899 onwards and in the 1930s was appointed Bishop of Down and Connor and Dromore. I tried to imbue “my” Lily Clesham in The Rising of Bella Casey with that same sense of gentleness. Certainly, it is that quality in her, that ignites her friendship with Bella Casey. As for Louis McNeice, he never got over the early loss of his mother. 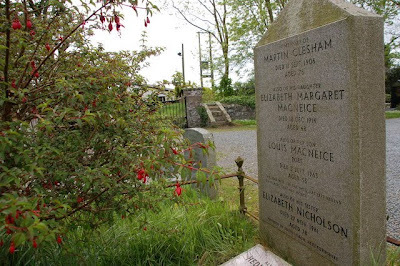 He is buried with her in the churchyard at Carrowdore, Co Down. 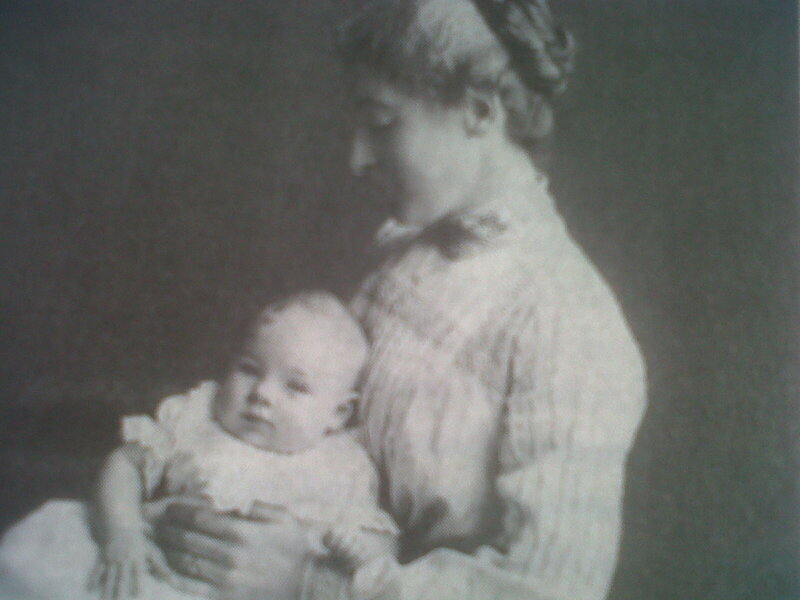 Louis McNeice as an infant pictured with his mother in 1907. The Carrowdore graveyard where McNeice is buried with his mother.